Meghan, Duchess of Sussex wowed crowds as she made a surprise appearance on stage at a charity event in London on Wednesday, thanks to a very cheeky Prince Harry. The dad-to-be was speaking at WE Day, a global initiative which encourages young people to take part in positive social change, when he suddenly told the crowd he was going to “drag my wife on stage”. To screams of excitement from the audience, the prince walked over to the side of the stage and led Meghan by the hand into the spotlight. 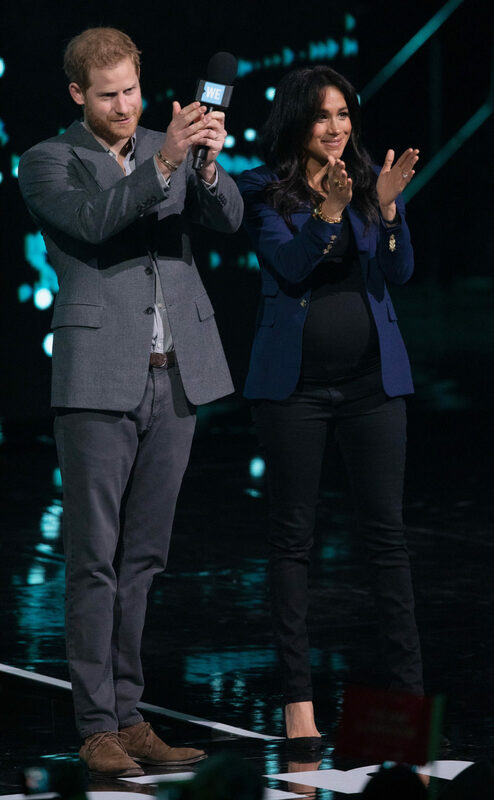 For the occasion, Meghan, who is due in the coming weeks, wore a navy blazer over a black top and black jeans. “I am with you, and we are with you,” he told the crowd, as he stood with his arm around his wife. Prince Harry gave a powerful speech, which mainly focused on encouraging the young audience to become more involved in creating positive change. He said it was a quote which Meghan often reminded him about. 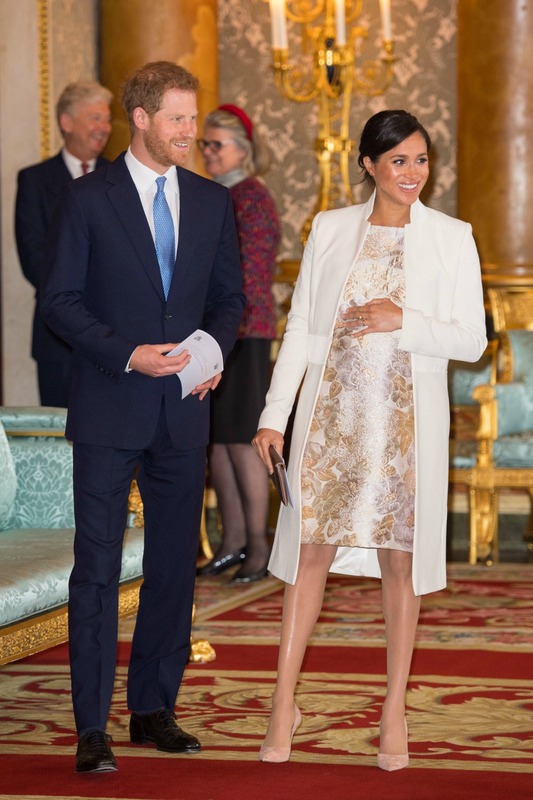 It comes after Harry and Meghan joined the Queen, the Duke and Duchess of Cambridge and other senior royals at Buckingham Palace to celebrate Prince Charles’s 50th year as the Prince of Wales. It was the first time the senior members of the royal family have been pictured together since Christmas, and the first time William, Catherine, Harry and Meghan have been seen together since nasty rumours began to circulate of a rift between the foursome. Despite the negative media coverage of their relationship, the four royals looked perfectly comfortable in each others company and smiled and chatted as they watched the Queen and Charles inspected the coronet used during the 1969 ceremony to crown him Prince of Wales. Prince William and Prince Harry were seen leaning their heads together at one point to share a private joke and appeared as close as ever as they stood beside their wives. Are you a fan of Harry and Meghan?